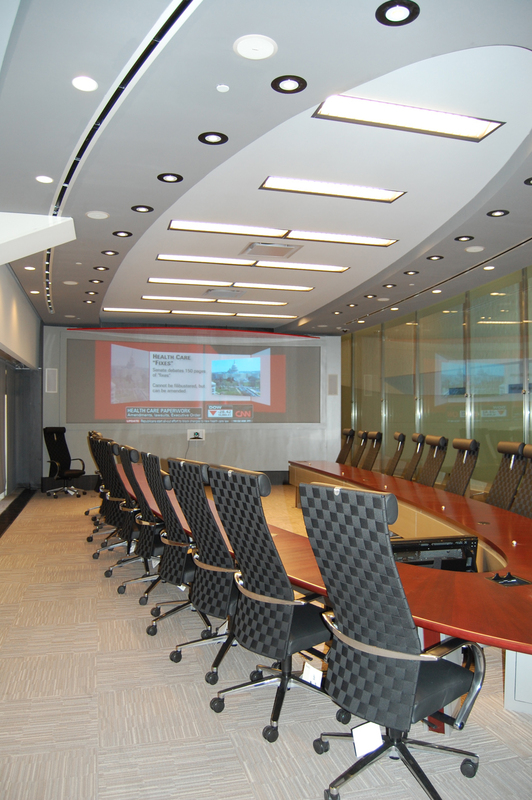 – Large and small conference rooms set within a sound-isolated elliptical glass enclosure, the largest of its kind in North America. 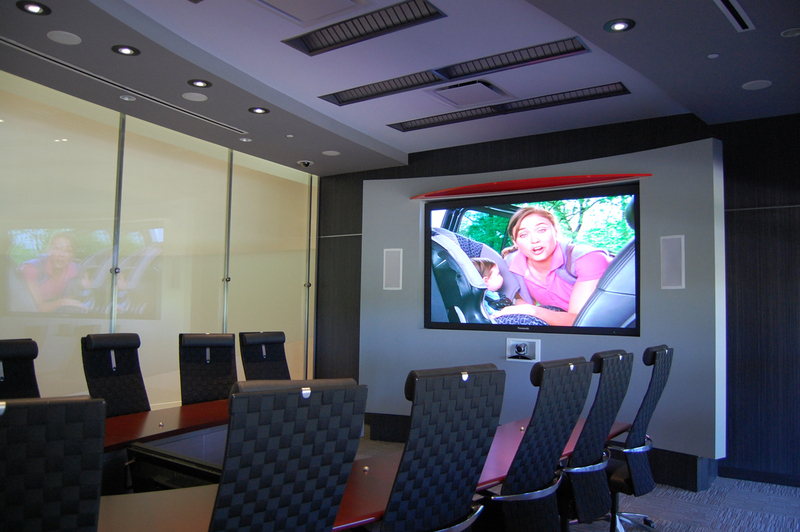 – State-of-the-art A/V infrastructure including large screen-presentation formats and interactive video conferencing. 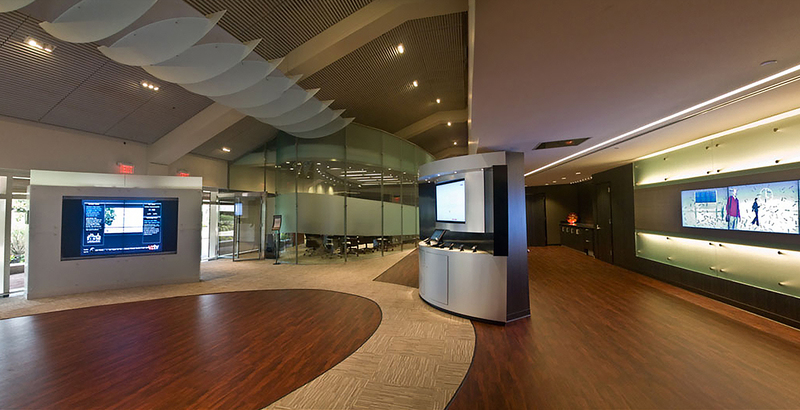 – Interactive wall displays and kiosks demonstrating the latest telecommunication technologies. 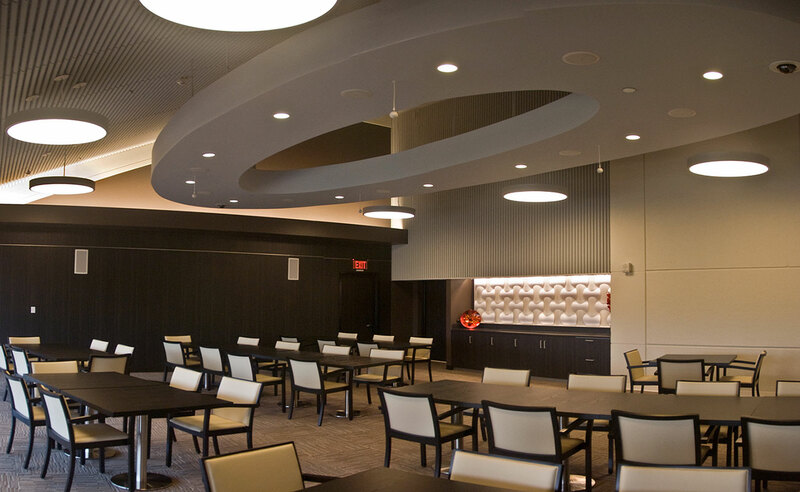 – Associated executive dining area, multi-purpose area, and other advanced design support spaces. 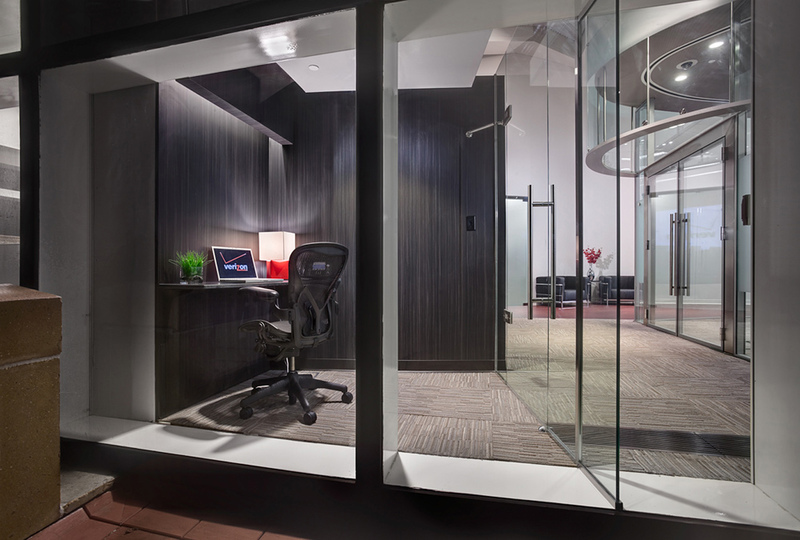 The project made significant architectural modifications to an existing space, including sophisticated structural, mechanical, and electrical aspects within the retrofit. The construction logistics, project schedule, and budget were all extremely challenging. The facility has opened on time, on budget, with no interruptions to the sensitive on-going operations of Verizon’s headquarters facility, where it is based. 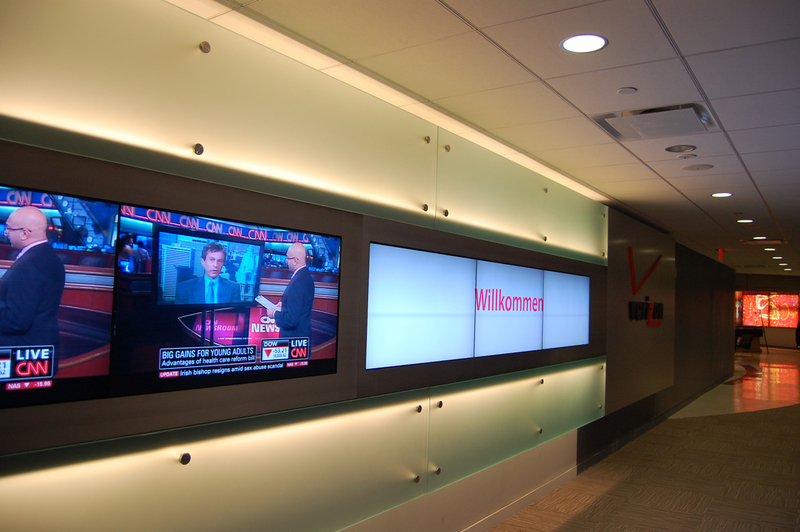 Verizon and its prospective clients have been impressed and satisfied with the results of the space.